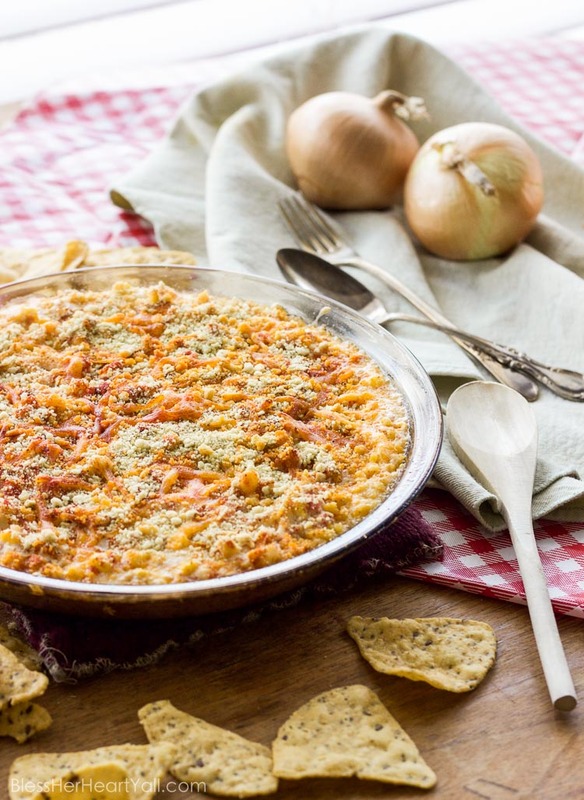 This southern seaside crab dip combines gluten-free heart-healthy crab with melty cheese, diced tomatoes and peppers, and sweet corn kernels for a delicious and easy dip that everyone loves! I know that there are quite a few readers that don’t like seafood. I hear ya. I am not known for loving seafood either y’all. In fact, I just started eating small amounts (we are talking a bite here, a bite there….) of very light seafoods that aren’t “too fishy”. 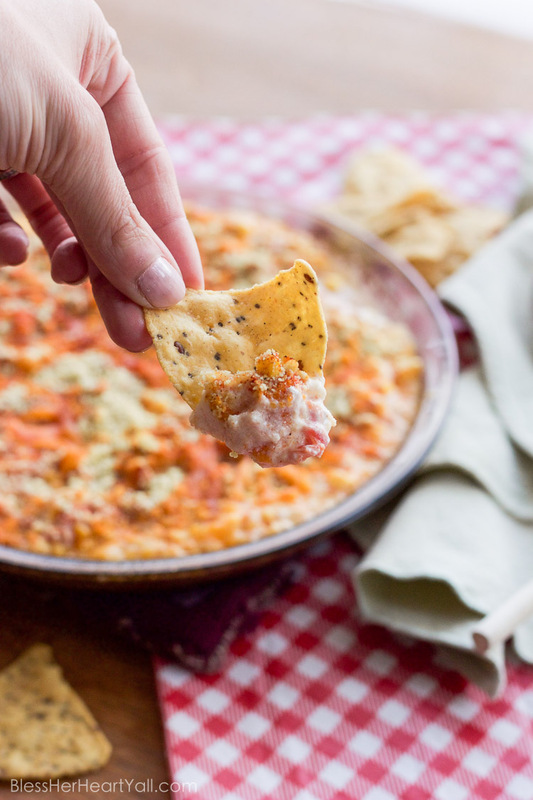 The one way (and only way) that I do scarf down seafood is in cheesy dips however! Then the story changes from one picky bite to stopping me from eating the whole dish in 2 minutes flat. So I guess I should now introduce you to my fav cheater seafood dish of mine, the Southern Seaside Crab Dip! 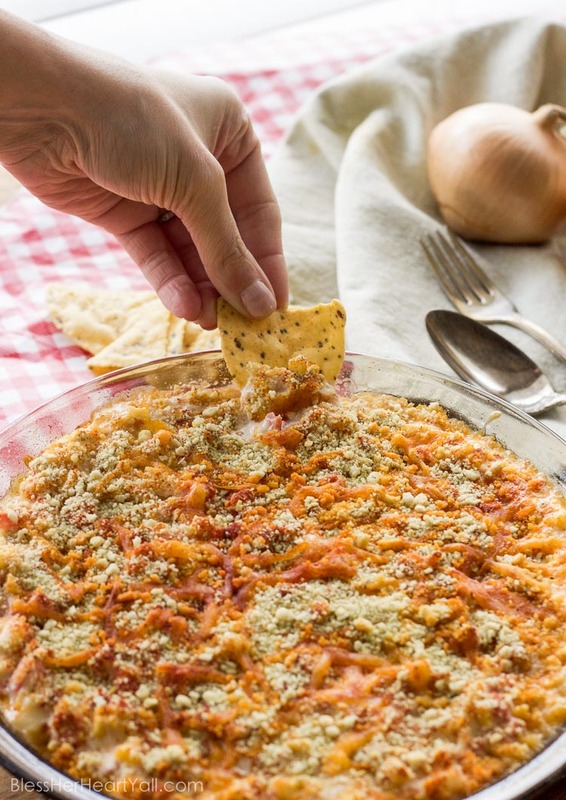 This cheesy, savoury, crabby dip is not only delicious, but is soooooo easy to put together (especially after you hear about my magic ingredient!) and makes your house smell like a master chef lives nearby! So just how simple is it to make this seaside favorite? Glad ya asked…. Grab a large mixing bowl, toss in your greek yogurt, cream cheese, corn, tomatoes, and if spice is what you are looking for, peppers too! Then add your cheese and spices: your garlic and onion powders and your paprika. Then sprinkle with gluten-free crumbles that you have on hand (think croutons, chips, even cereal crumbles) mixed with a bit of butter and parsley. Bake it for a mere 13-15 minutes and then dig in! It’s that simple! Of course you can substitute many of the ingredients with other things. I sometimes sub my cream cheese spread with a yummy greek yogurt cream cheese spread for “waistline management” (who am I kidding? Just eat the delicious cheesy dip that’s sitting in front of me. Okay!). When I don’t have diced peppers on hand, I use a can of Rotel-like veggies or dice up a bell pepper for the same yummy effect. 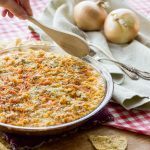 Of course this southern seaside crab dip is amazing with crunchy chips but it’s also stellar with veggie slices. Try it! And then there is my magic ingredient that I mentioned earlier! I have to give a shout out to my new gluten-free fav, Crab Classic. Yes, it’s imitation crab… but before you start to make assumptions, here me out. 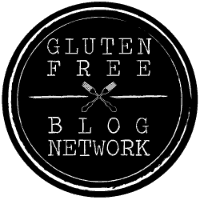 Not only is it gluten-free, but it’s also fat-free and certified by the American Heart Association as heart-healthy! 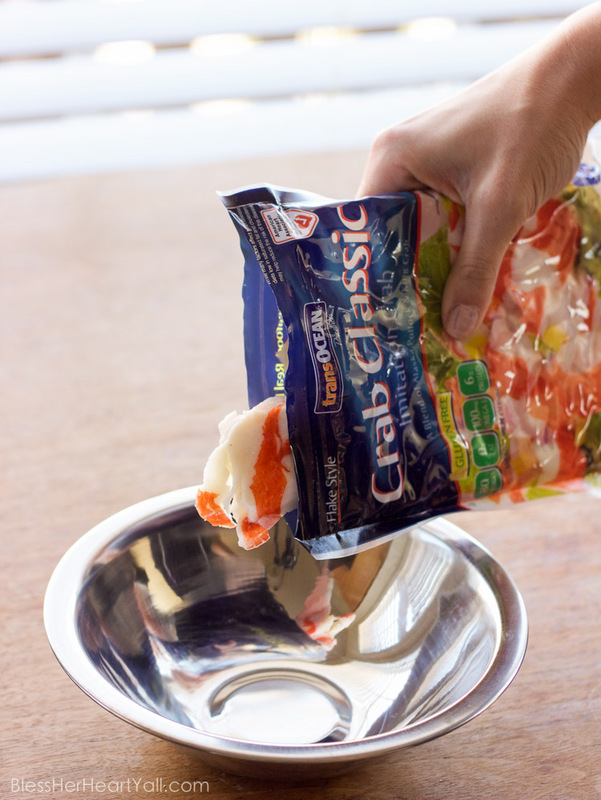 Crab Classic is also certified as a sustainably sourced seafood made from wild Alaskan Pollock and King Crab meat. 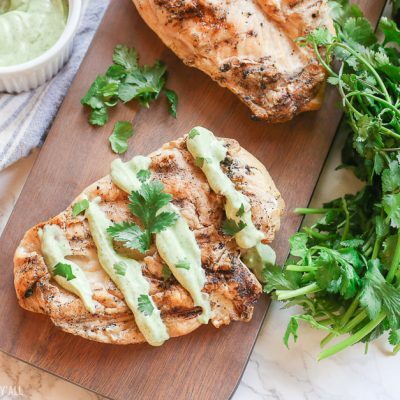 AND, it’s also super easy to use in this recipe. The convenient price and convenient packaging make it too easy to just tear open the top of the package and quickly drop in the meat. 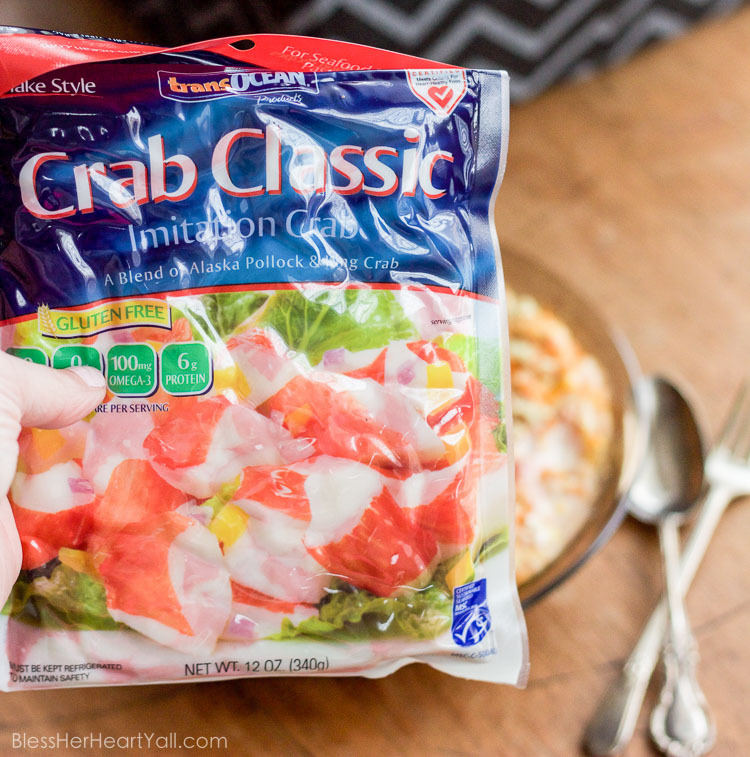 1/2 - 1 cup Crab Classic meat depending on how much crab you like! Preheat your oven to 375*F and grease a 9 inch baking dish. Set aside. 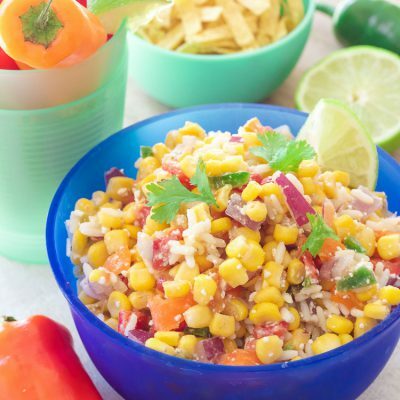 In a large mixing bowl, thoroughly mix the cream cheese, corn, swiss cheese, tomatoes, greek yogurt, garlic powder, onion powder, and Crab Classic together. Place this mixture evenly into the greased baking dish. Sprinkle the top with paprika, extra shredded cheese, and GF crumbles (combine the GF crushed crumbles with the melted butter and parsley!). 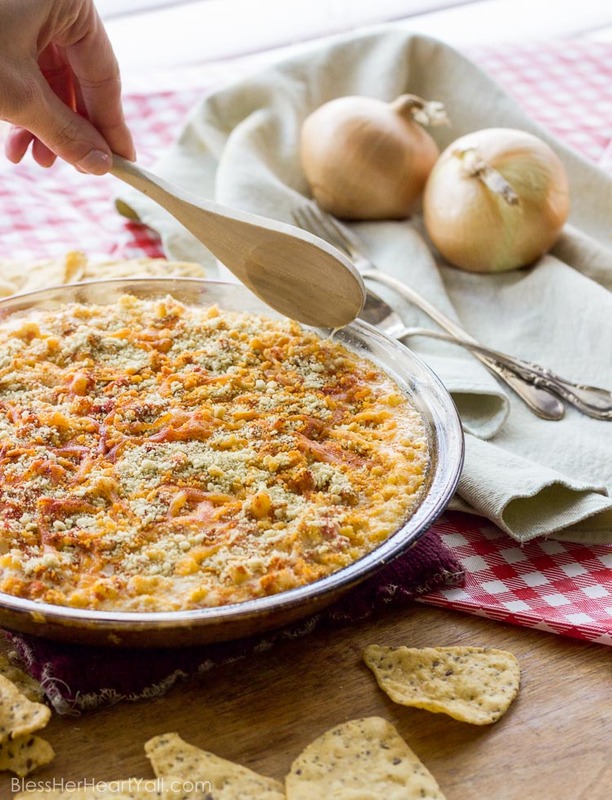 Bake for 13-15 minutes or until the crab dip is bubbly and turning golden brown along the sides. Allow to cool for a few minutes before digging in! 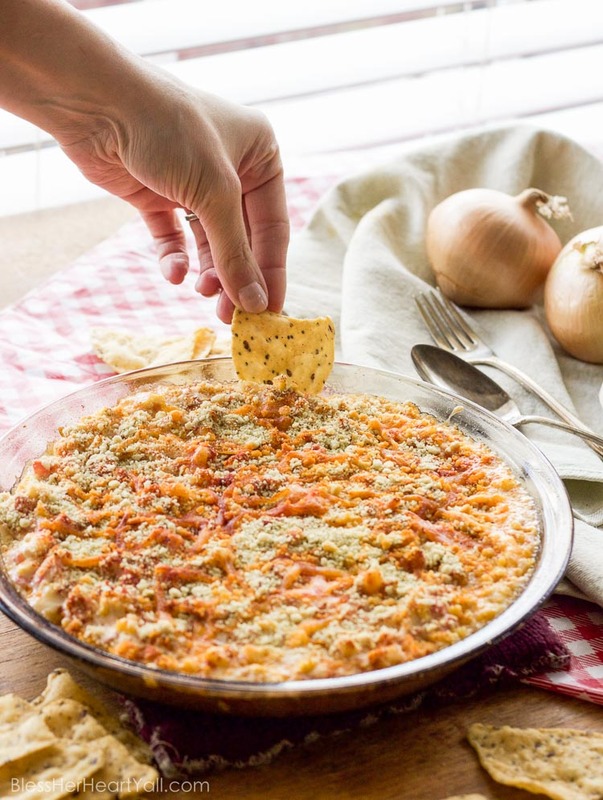 So as the warmer months get closer and seafood is all the rage, definitely consider this southern seaside crab dip for seafood lovers and seafood skeptics alike, and definitely pick up a bag or two of Crab Classic for your tasty convenience! 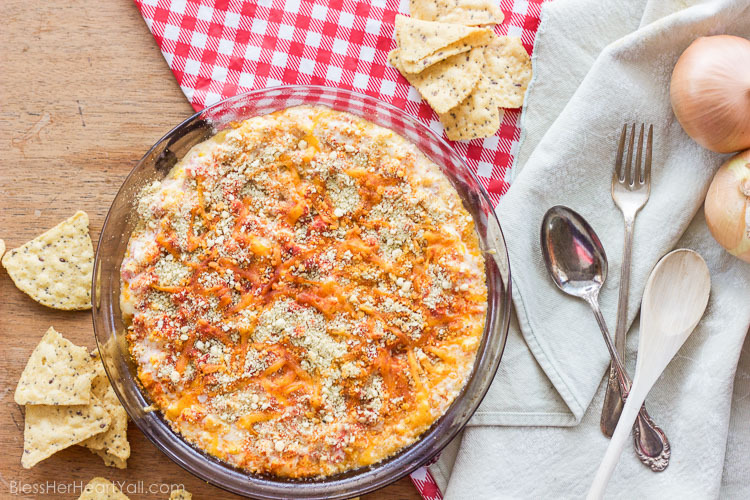 OMG I love that crab, its so good, now I have to try this dip and just eat it by spoon! Swoon, what a relish recipe! You had me at crab girl! I love all things seafood! Sounds yummy! 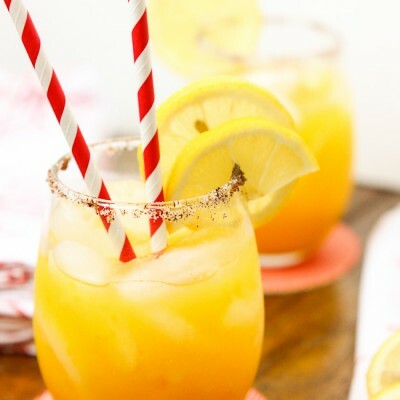 Would have been perfect for superbowl party!